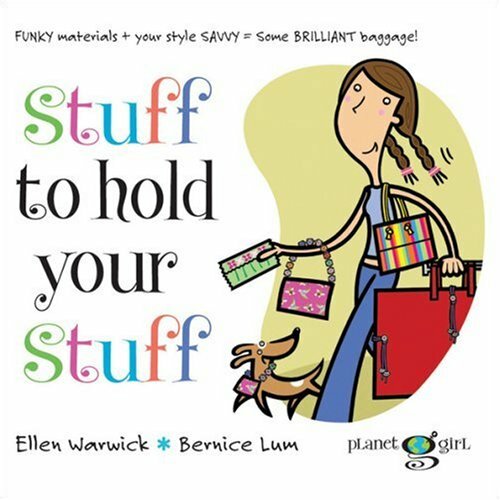 In this book from the Planet Girl series, girls will once again put their stellar sense of style to good use and find lots of funky projects to reflect their unique styles. 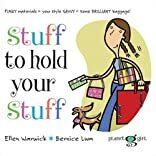 Stuff to Hold Your Stuff offers bags, totes, purses and other projects that won't break the bank ? but may break friends' hearts (from jealousy)! Following the illustrated step-by-step instructions, girls can whip up standout stuff-holders for all-purpose use, for the gym, for overnight jaunts and much more. They'll never need to carry a boring bag, sad sack or tired tote again. About Bernice Lum (Illustrator) : Bernice Lum is a published illustrator of children's books. Some of the published credits of Bernice Lum include Everywear (Planet Girl) (Planet Girl), Oxford First Dictionary, Spies Unlimited.